One of the strongest clubs in Central Highlands bowls has applied to join the Melbourne metropolitan competition next season. Bacchus Marsh has reached an in principle decision to merge with The Avenue BC with the intention to create one “super club” in Bacchus Marsh. The Avenue presently plays in the Ballarat pennant competition, and Bacchus Marsh in Central Highlands. 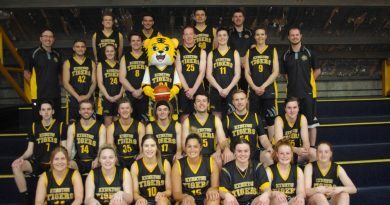 Negotiations between the two long time rival clubs in Bacchus Marsh has been proceeding for some weeks, and shire and state government assistance is likely to be sought. The concept is for the valuable land occupied by the two clubs to be sold, and a multi-million dollar super club established with three greens (one grass, two synthetic) on a completely new site in Bacchus Marsh. Bacchus Marsh and The Avenue see the geographics of joining the metropolitan pennant competition as an advantage, and it will be interesting to see what the outcome of the application to transfer from Central Highlands will be. 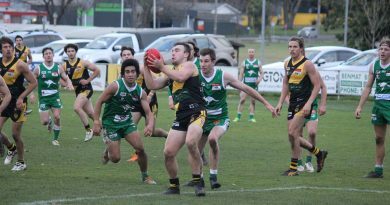 There has been some speculation in some quarters that clubs other club including Wallan, Kilmore and Broadford – all in Central division – may be interested in joining Central Highlands if Bacchus Marsh departs. 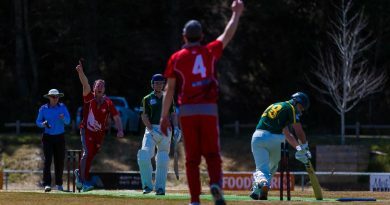 Skittled: Gisborne pace bowler Jason Wilson celebrates after clean bowling Woodend's Nick Smith. Photo: Ties Urie. Kyneton ran over the top of Kangaroo Flat at the Showgrounds on Saturday.